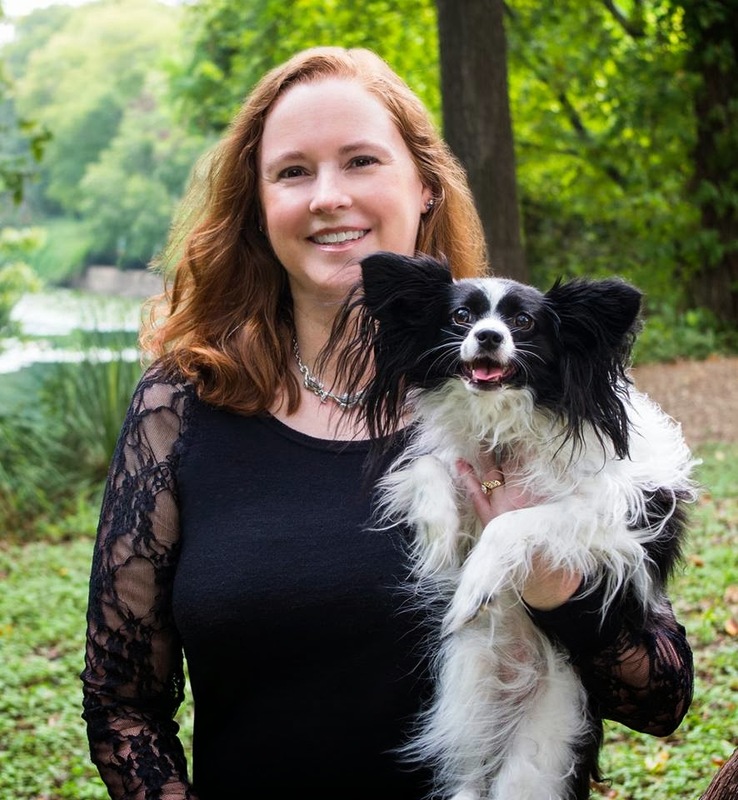 Kimber Leigh Wheaton is a YA/NA author with a soft spot for sweet romance and is a member of Romance Writers of America. She is married to her soul mate, has a teenage son, and shares her home with three dogs and four cats. No, she doesn’t live on a farm, she just loves animals. Her house is filled with dragons, though she does lament that they are the porcelain, non-flying variety. 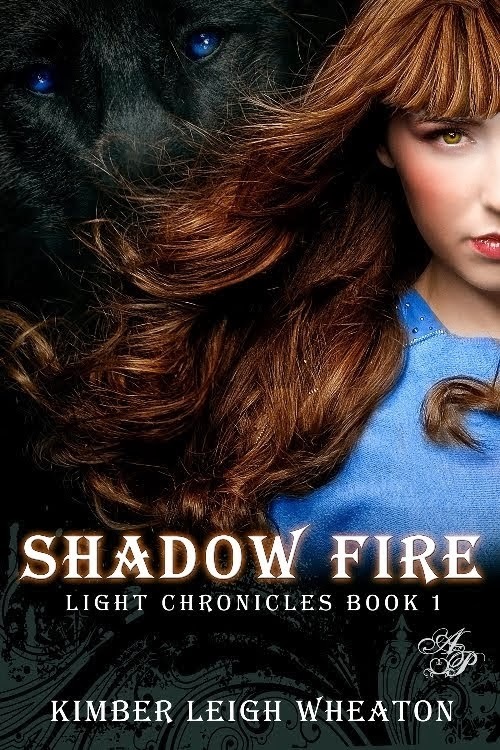 Her debut novel, Shadow Fire, is the first book in The Light Chronicles series. Watch for book two, Stolen Moon, a standalone sequel, coming soon. Each novel I write has a different playlist, one for creating and one for editing. I learned early on that I can't edit to any music that has words because it's too distracting. The playlist for Shadow Fire was quite eclectic. Since it's a fantasy romance, I imagined rolling green hills, vivid sunsets, and vast untamed wilderness. Celtic music really helped me picture that fantasy world. The characters, however, were more modern and required something a bit edgier. Now, my playlists can run up to fifty songs so I'll give you a sampling of the music that inspired Shadow Fire, in no particular order. Shadow Fire was edited to The Greatest Video Game Music played by the London Philharmonic Orchestra. Kimber is giving away three kindle e-book copies of Shadow Fire. (INT) Entry after excerpts. Shadow Fire: Ashlyn – a free-spirited teenager whose peaceful life is shattered when the village elders honor her with a perilous quest to recover a stolen relic. 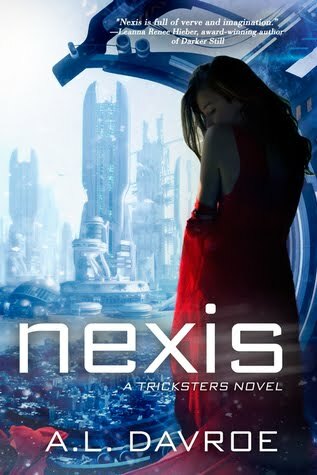 Each installment of The Light Chronicles is a standalone story. Every step I take is one step closer to death. Hiking through the dense underbrush, I try to calm my frayed nerves and control the fear threatening to overwhelm me. Twigs and tendrils of ivy grab at my ankles as I continue to forge ahead, forcing me to wrench away from their skeletal grip. The sunlight is fading, signaling the end of another day, but this is no ordinary day. A loud crack pierces the air. I freeze in my tracks, my breath catching in my throat. Whipping my head around, I try to locate the source of the sound. My heart pounds in my chest, the erratic rhythm painful. These woods are full of predators, some animal, some monster, but the worst… human. Taking a deep breath, I listen to the surrounding woods: birds chirp, insects hum, and small animals scurry about as if they have no care in the world. Lungs burning, I force myself to continue walking. I didn't collapse three weeks ago when this whole fiasco started, and I won't give in now. My family needs me to be strong. The trees become sparser as I approach the edge of the forest. My shoulders slump when I pass the tree house we used to play in so many years ago. Any other day when I'm this close to home after a long day of hunting, I'd smile, breathe a sigh of relief, and perhaps look forward to dinner. Today there will be no raucous family meal, no solace in entering the peaceful village, and nothing to smile about. The villagers will be awaiting my return, skulking in the shadows, desperate to catch a glimpse of the walking dead girl. I've dealt with the whispers and pointing for three weeks with my head held high, my anxiety hidden behind a mask of indifference. I don't want them to see me like this, trembling in fear, broken. They've taken everything I am, every hope, every dream I've had for the future and smashed them to pieces with little hope of salvation. The townsfolk of Verdane decided my fate and they chose death. The elders told me being Chosen is an honor. Either they are ignorant or apathetic. Every five years for the last twenty, a teenage girl has been chosen by the town, via secret ballot, to undertake this dangerous quest, never to return. Perhaps if the elders had to forfeit their lives instead they wouldn't be so quick to label it an honor, they'd call it what it is… a sacrifice. We walk in silence for what seems like several hours. The sun is at midday, yet we still haven't stopped to rest. Zane isn't holding my hand like he was in the forest. Of course, there's nothing for me to trip over on this wide clear road, with the exception of the ruts from the wagon wheels. I miss feeling his strong hand gripping mine. Perhaps I should just be bold like Celeste and take his hand if I want to hold it. The thought leads to a tiny giggle escaping my mouth. I'm mortified when Zane glances back at me, his right eyebrow arched. "Are you okay?" he asks as he stops walking. My face must be crimson. When I don't answer, he places his hand on my forehead. "You're quite warm. Maybe we should rest for a little bit." I nod my agreement and sit down in the tall grass on the side of the road. Hopefully the grass will conceal my red face from view. Zane does one last survey of our surroundings before lowering himself to the ground next to me. "Here," he says, handing his canteen to me, "Have some water. It'll help you feel better. Be sure to tell me in the future when you need to rest." Nodding, I take a slow drink while trying to calm my racing heart. Then another unbidden thought enters my mind, and I picture his lips on the same flask. I choke on the drink I'm taking. Zane pats my back as I sputter and cough. So embarrassing. I wonder what other evils my mind has planned for me. "I'm okay," I say, handing the flask back, "but I think I'll hold off on water for a while." Settling on my back in the thick grass, I hide my red face beneath my arm. Just a couple of minutes and the flush will fade. If I don't stop blushing around him, he'll start to think red is my natural skin color. I feel movement in the grass beside me. His fingertips trace a feather light caress along the arm slung over my face. Lowering my arm, I breathe out a tiny gasp. Zane's face is within inches of mine. I watch his lips curl into a slight smile as his hand moves from my arm to caress my cheek. His garnet eyes are mesmerizing, trapping me within the twin pools of fire. He leans closer, his lips so close yet still too far away. My heart pounds in my chest, my eyes still ensnared by his gaze. His lips meet mine, softly at first, then more demanding. A soft moan escapes my throat, and my eyes flutter closed. "Is this okay?" he asks in a breathless whisper, his lips brushing mine when he speaks. Instead of answering, I wind my arms around his neck, pulling his body closer. My mouth opens under the soft pressure of his tongue, granting him entrance. He explores my mouth with excruciating slowness. My body feels like it's on fire as tiny shivers of pleasure race up and down my extremities. I bury my fingers into his auburn hair trapping him against me. He groans, pulling me against him, tightening his arms around my upper body, and I feel a delicious warmth pool deep within my body. When his lips leave mine I'm still lost to the sensations, all so raw and new. Opening my eyes, I gaze up at him, my limbs not quite ready to function yet. His eyes are darkened with passion, which sends another wave of desire coursing through my body. "As much as I'd like to stay like this all day," he murmurs, nipping at my lower lip. Clearing his throat he continues, "We need to get moving." The sound of metal clashing echoes through the air on deck. In the center of the ship Zane and Taranis are sparring while the crew watches from a safe distance. Neither man seems to be holding back. Skirting around the fighting men, I reach the stairs up to the helm and scale them. Several pirates are leaning up against the railing overlooking the deck. When I appear they move aside to make a space for me in the middle. "How long have they been at it?" I ask the group of men. "Half an hour or so," a red-haired pirate replies. "You want in on the betting pool? It's not too late." Only a moron would bet against Zane. Although I have to admit, it appears Taranis is putting up a good fight. He rushes at Zane with a series of furious swings, which are all parried with ease. When he leaps away, Zane charges him. Taranis manages to parry all but one swing. This one he blocks with the large silver gauntlet on his left forearm. Zane takes a step back and lowers his sword. "Had enough yet, pirate?" he asks laughing. Taranis is staring at him in cool silence, but his breathing is a bit labored. When the captain rushes him, Zane drops to the ground and knocks him down with a leg sweep. Taranis sprawls on the deck but doesn't lose his sword. Zane leaps to his feet and moves to place his sword at the rogue's throat. Taranis manages to block the strike with his gauntlet before leaping back to his feet. "I guess not," Zane observes. Taranis gazes up at me with a leer and a wicked smirk. I don't even have time to gulp before he vaults over the rail to seize me around the waist. My shriek is somewhere between a cry of surprise and a laugh when Taranis pulls me against his side, pointing his sword at Zane. "Drop your sword, mercenary," he commands. "Why would I do that?" Zane asks scowling. He's obviously not happy with the direction of the fight. For my part, I lean against Taranis, trying hard not to laugh. "I have your woman," Taranis declares. "I'm sure you wouldn't want to see her harmed." "I know you won't hurt her, pirate," Zane says, exasperation apparent in his eyes and his voice. With a smirk, I glance up at the pirate's jubilant face. I have to agree with Zane. Taranis is as harmless as a puppy. "Now either get back down here or surrender," Zane yells. "What if I do this?" Taranis asks, pulling on my braid and baring my neck to him. His lips start trailing feather light kisses up my neck. I'm too shocked to do anything but stand in his embrace. "Oh, that's it!" Zane shouts, running toward us. "You're a dead man!" "Sorry, my gorgeous beauty," Taranis says laughing, "gotta go!" He leaps off the railing just as Zane reaches my side. "Are you all right?" Zane asks, cupping my cheek. I try to keep it in but to no avail. My laughter rings out, and I'm doubled over by the force of it. "I'll take that as a yes," he mumbles before he takes off running after Taranis. "You may as well surrender, pirate! Where are you going to run? This is a ship!" When we reach the deck, everyone stops to stare at me. Trying to ignore the blatant curiosity, I follow Hanna down the aft stairs to the brig. Zane and Taranis occupy cells across from each other. They're both sitting on the floor glaring daggers at each other. Hanna hands the key to me and slips away. Inching closer, I'm careful to remain out of reach of the two prisoners. As soon as they see me, both men jump up and start talking over each other. "Ashlyn! How are you feeling, Love?" Zane asks. "Ashlyn, my fiery angel, you are a ray of sunshine in this dank prison!" Taranis says. "I'm gonna let you both out, if, and only if, you promise to behave," I threaten. Both men nod their agreement. "That means no fighting. It also means we never, and I mean never, speak of what happened last night." When I get no argument, I free Zane first and then Taranis. "Do you even know what happened last night?" Zane asks, taking me into his arms. I stand rigid in his embrace, not sure if I'm ready to forgive him quite yet. "Only what Hanna told me," I snap at him. "I saved your virtue from this raving lunatic," Taranis says, pointing at Zane. "Then you decided to take it for yourself!" Zane yells back at him. "Did you not hear me?" I shout. Pulling myself from Zane's embrace, I back up and glare at both men. "No speaking of last night. Period. End of discussion." "Yes, virtuous virgin," Taranis replies. "Taranis!" I release a menacing growl, and wince when my right eye starts to tic. "Yes?" he asks, eyes full of mock innocence. Taranis listens to Zane's advice and takes off up the stairs to the deck with me hot on his heels. I GOT A BOOK DEAL!!! !